Grow your Business with innovative mobile applications. Hire Professional mobile app developers for fulfilling your application requirement. Our developers craft innovative applications that helps our customers. Interactive and eye-catching web application turn your visitors into customers. Get flexible, interactive and quick loading application for your business. Run your business smoothly with these emerging technologies. Make your brand's mark through digital marketing. Theunpluggedweb is a leading web and mobile app development company based in New Jersey, USA & India. We have proven track record of delivering the optimal mobile application development services for a very long time. We are also deliver services in Web Application Development, CMS & ecommerce Development, Blockchain development, AR-VR development, Game Development and many more. We are offering customized services in mobile app development for small to large-scale business with optimum price. We are providing solution to startups, SMEs and enterprise companies. 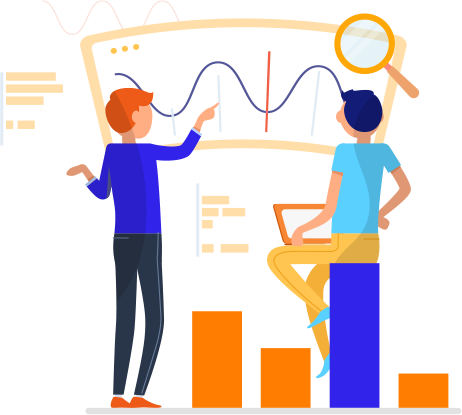 As a leading web and mobile app development company, we make sure that our customers get incredible ROI on their web and mobile development investment. We have a team of professionals who have expertise in mobile and web application development and able to provide quality works. keep you ahead from your compeitiors. provide flexible and fast loading website & mobile application. We provide services to different industries that will help them to reach their end customers and increase their business revenues. Gather requirement and brainstorm the idea. Turn your idea into interactive & eye-catching design. Final Quality check for bug free mobile application. Get final feedback from client and do improvement accordingly. Publish Application to the respective store and website. Find our latest mobile and web technologies related blogs here.